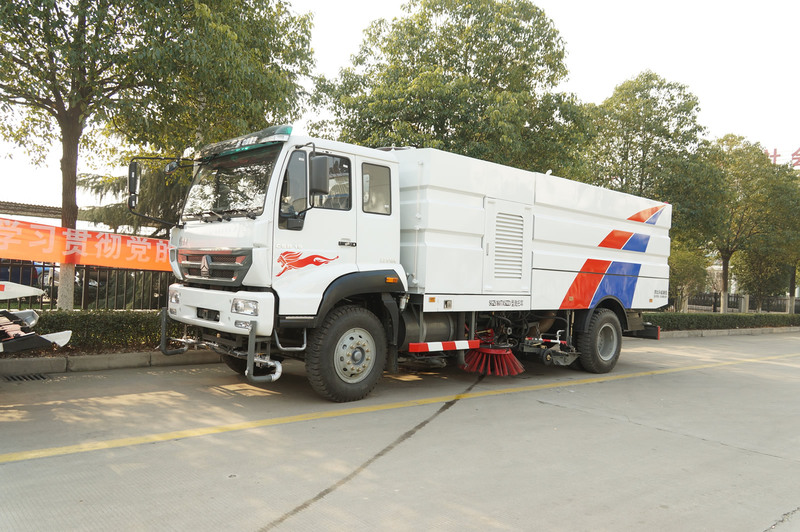 China made cleaner trucks, street sweeper trucks for sale from SinoTrailers. As a mechanical cleaning sweeper, it is widely used to keep city clean. The truck has functions of sprinkling water, sweeping, dust-removal and suction. Sprinkle nozzle mounted in suction mouth, prevents contamination during process of brushing and high pressure water cleaning. Speed of sweeping disk brush is adjustable, adapts various road conditions: municipal road, freeway, overpass, square, airport, port, and tunnel. As a manufacturer, SinoTrailers provides cleaner truck with easy maintenance, simple operations and less easy-wearing parts replacement. It helps you to improve the quality of outdoor environment at low operating and maintenance costs. 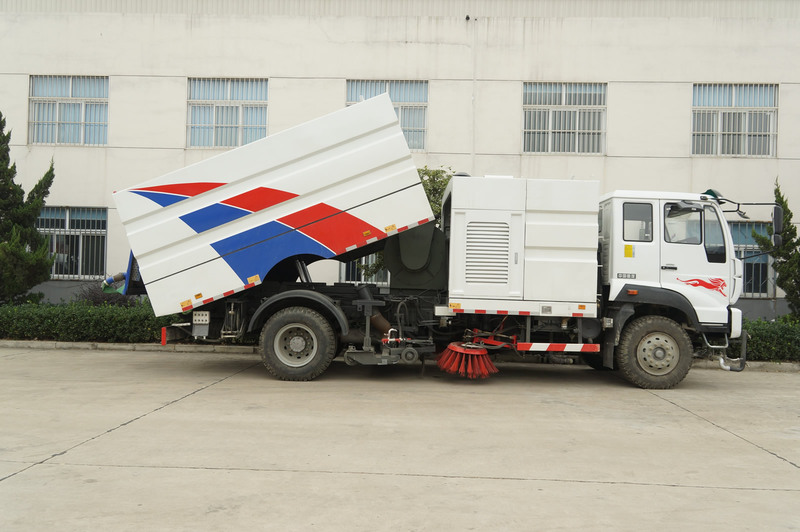 Custom-made road sweeper truck is available.